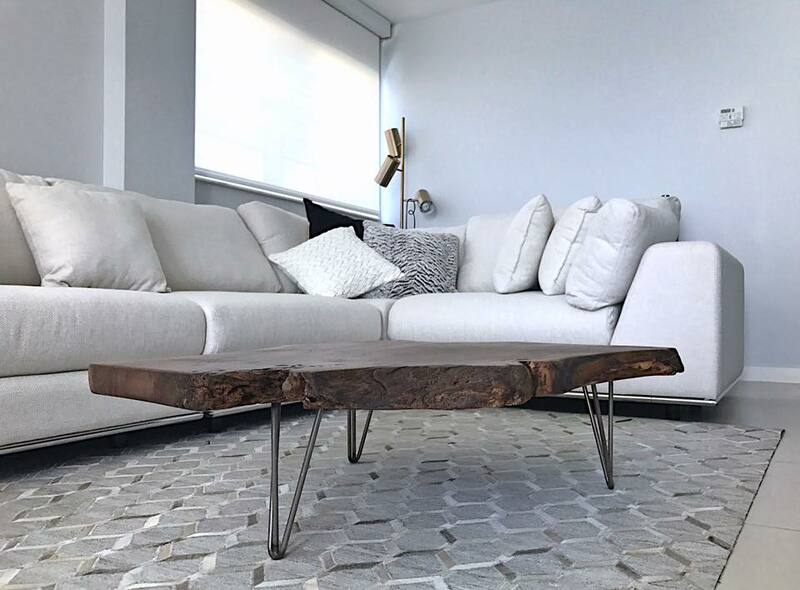 As of 2016, AID - Interior Design Miami has partnered with Natural Edge Table Company to design and create hand-crafted works of art. We specialize in custom lighting, natural edge wood tables, modern wood tables, custom wood furniture and live edge wood. Our partnership was mentioned in Ocean Drive Magazine in 2016. You can read the article here. If you are interested in a natural edge wood table, or another custom piece, please contact us today. We take custom requests and can create anything you can dream of! We also can create 3D computer renderings to allow you to customize and preview your unique piece! call natural edge table co.
From live edge wood desks to floating natural edge conference tables that create a lasting impact on your clients and boost the design of your office space! We can customize any size table to suit your unique needs. Hands down the reigning star of modern interior design, natural edge wood dining tables are a must-have in any modern interior that desires an upscale, warm touch of character. We can recreate any previous piece or design a modern dining table for you. Make any modern living room instantly warm & inviting with a custom natural edge wood coffee table. We can recreate any table previously made or design and build the custom modern wood coffee table you have always wanted!